Marc Wittmann is currently employed at the Institute for Frontier Areas of Psychology and Mental Health, Freiburg, Germany. He has written two books on the topic of time perception. ‘Felt Time’ has been published in 2016 by MIT Press and ‘Altered States of Consciousness’ is going to appear in August 2018, also published by MIT Press. Marc Wittmann: I studied psychology and philosophy at the University of Fribourg in Switzerland and then did my PhD at the University of Munich (actually my home town) in the field of Medical Psychology. My PhD thesis was concerned with time perception in patients with brain injuries following infarction. I looked at the relationship between damaged brain regions in those patients, the overlap of the damaged regions across patients, and impairments in time perception and the timing of movements. For example, individuals with damage to left-hemisphere and aphasia exhibit problems in detecting the temporal order of stimuli, a deficit that might be related to their language impairments. In subsequent studies as a post-doc at Munich University working in a newly founded program on ageing, I investigated the decline of temporal processing abilities in the healthy elderly and how this is caused by deficits in attention and working memory. In 2004 I went to San Diego to the Department of Psychiatry where – among many other commitments – I recorded brain activity of healthy subjects and drug-dependent individuals. There I made the discovery that the insular cortex, the primary brain region for processing body signals, is related to the felt passage of time in the seconds’ range. This finding became the start of my research agenda on the embodiment of subjective time. Since 2009 I am research fellow at the Institute for Frontiers Areas of Psychology and Mental Health in Freiburg, Germany. RB: Your research involves the study of time, particularly subjective time. Why is our understanding of time important? MW: One could say that the study of time consciousness overlaps with the study of phenomenal consciousness. Conscious awareness is extended awareness of duration, temporal order, the present-moment, and the passage of time. For example, the definition of phenomenal consciousness by the philosopher Thomas Metzinger is the following: “Phenomenal consciousness consists of an island of presence in the continuous passage of time, related to what is happening right now”. In this sentence you find three time-related concepts and terms: presence, passage of time, now. If we want to understand consciousness, we have to understand subjective time. RB: How does our sense of time come about? MW: Interestingly, there is no consensus among researchers on how the brain processes time. Many different ideas and models exist which are not compatible with each other. The question of how we perceive time is something of an enigma, similar to the question of phenomenal consciousness. 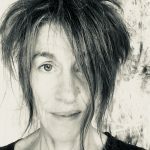 My own conceptualization relates to the idea that subjective time is embodied, the bodily self is constantly perceived and that the processing of body signals enables the feeling of passage of time. We don’t perceive time in the outside world but through our sense of self. There is no particular organ, such as the eyes or ears for seeing and hearing, to perceive time. When we feel ourselves particularly intensively, in states of boredom, while waiting for something to happen, but also in situations when we are emotionally aroused, for example when we feel socially excluded, time passes very slowly because we feel ourselves. In contrast, when we are in a state of flow, where we are strongly engaged in an activity, we do not feel ourselves and time passes quickly. The more we feel ourselves, the slower felt passage of time. RB: What is going on in the brain when we experience time? Is there a direct correlation between neural activity in particular areas and the experience of time? MW: What one definitely can say is that regarding shorter time intervals, in range of milliseconds to a few seconds, duration is processed in a network of areas of the brain that are involved in the initiation and execution of movements. It is as if mechanisms for the precise timing of movements also take over the processing of duration of short events. That makes sense because we don’t have different compartments for perception and motor behaviour but the brain processes sensory and motor activity in interlaced networks. It is about sensorimotor processing, we perceive in the way we act. 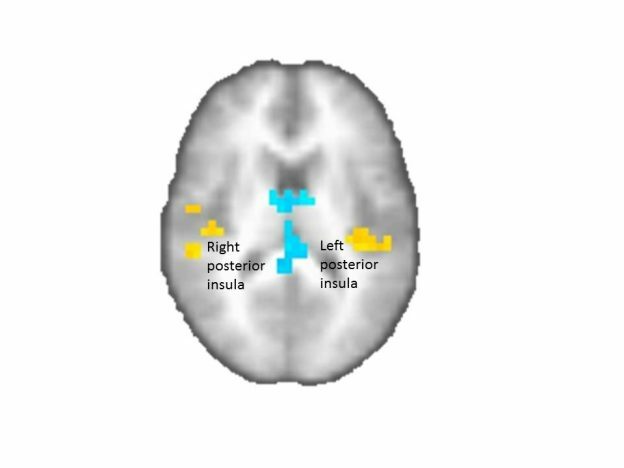 But when we are exposed to longer time intervals, when we really feel the duration of empty time in the range of many seconds, in my fMRI study 9 and 18 seconds, the insular cortex kicks in (see the brain image). We feel duration and the speed of passage of time through our evolving sense of bodily self which is partly mediated through neural processes in the insula. RB: Why is the feeling of boredom important to the understanding of subjective time and our sense of self? MW: Philosophers like Walter Benjamin or Martin Heidegger discussed boredom as the state of sensing oneself without any intermediate social or cognitive constructions of what we are. We directly feel ourselves, unmediated, here and now. Self and time become dominant in perception. The state of boredom thereafter is a means to assess self-consciousness and time-consciousness in a very direct way. RB: Why does time seem to speed up as we grow older? MW: The feeling of time speeding up as we grow older is related to retrospective accounts of subjective time. The more changes in life we remember about a past time interval, the longer duration is judged to have lasted. In childhood, adolescence, and early adulthood we experience so many novel events which are also strong in emotions: the first day at school, the first kiss, the first time on vacation without the parents, moving away from home to a new town, etc. This type of novelty in association with strong emotional memories can hardly be repeated later in life when we have lived for 20 years in the same place, going to work each day with the same job … The eternal recurrence of the same does not leave memory traces, so time speeds up subjectively as we grow older. RB: Social Acceleration is the theory that society, both in perception and reality, is constantly speeding up. What effect do you think this has on our sense of time and our wellbeing? MW: Since the time intervals between scheduled events and incoming information shorten, we more likely lose the sense of our present self. We become future orientated as we have to focus more and more on all the appointments and deadlines ahead that have to be taken care of. This can lead to mindless and hectic busyness. Only in a relaxed mode of present awareness we sense ourselves and time, become attentive of what is happening right now to me and what is really important. The lack of feeling oneself could be one reason why people in fast-moving societies seem to get more nervous and fidgety. RB: Following on from this, do you think the practice of mindfulness and meditation are important? MW: I think that the success of East Asian meditation techniques including Yoga and Tai-Chi are explainable through the awareness of people that they have lost quality of life in their bustling everyday activities. 30 years ago meditation was an esoteric activity by some drug-infested, crazy people who had spent too much time in India. Nowadays, the practice of mindfulness and meditation are mainstream activities undertaken by CEOs in capitalistically-oriented companies. Similarly, only 15 years ago as a researcher you could not investigate meditative states if you wanted to pursue a career in academia. Now it has become the topic of mainstream brain science. One could argue that one reason for these developments, next to a greater openness in society in general, is that more and more people realize the importance of present-moment awareness for leading a healthy and happy life. RB: What can the study of altered states of consciousness tell us about time and self? MW: Altered states of consciousness (ASC) are the most extreme states of feeling ourselves and time. We can think about deep meditative or psychedelic-induced states of consciousness where people report that they have lost the sense of self and time, when they feel oneness with the surrounding world and absolute timelessness. Scientists are now again taking up research, conducted until the 1960ies, in more systematic ways and with the help of more advanced technology such as fMRI. Today, scanners record brain activity while monks meditate and people are under the influence of psychedelics like LSD or psilocybin. With the help of research on ASC we will come closer to revealing the mystery of consciousness and subjective time. 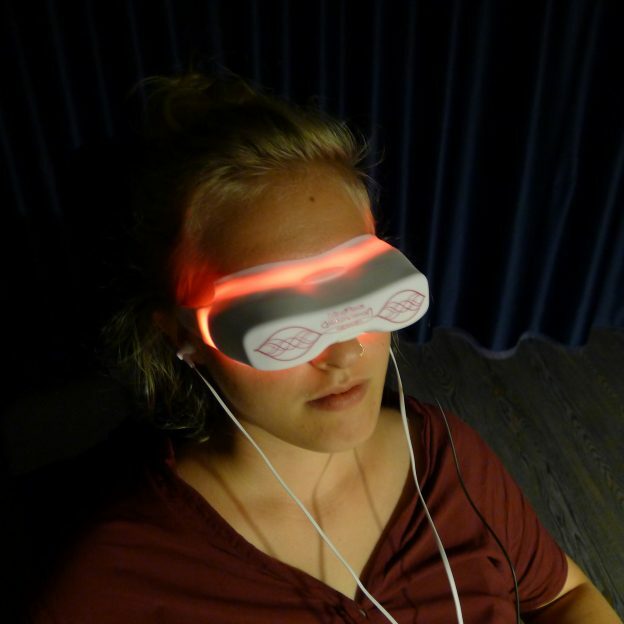 Besides testing experienced meditators and using psychedelic substances in a safe hospital setting, there are straightforward methods like employing the ganzfeld technique. In the ganzfeld (German for ‘whole field’) subjects are exposed to a homogeneous light through wearing goggles and receive white or brown noise transmitted through earphones and which sounds like a waterfall (see the photo). This is a convenient and safe way to get people into meditation-like ASC and ask them about their experiences. RB: What research are you currently working on? MW: One line of research, among others, is what I like to label ‘experimental philosophy’. The philosophical discourse surrounding waiting and boredom tested experimentally. I am now conducting several studies where we have people wait alone in a room without the possibility of distraction. Beforehand we take away cell phones, books, bags and rucksacks which could contain distracting material. This is a mock situation as the instructor tells them to wait as she has to prepare something in another room or another subject is currently being tested. 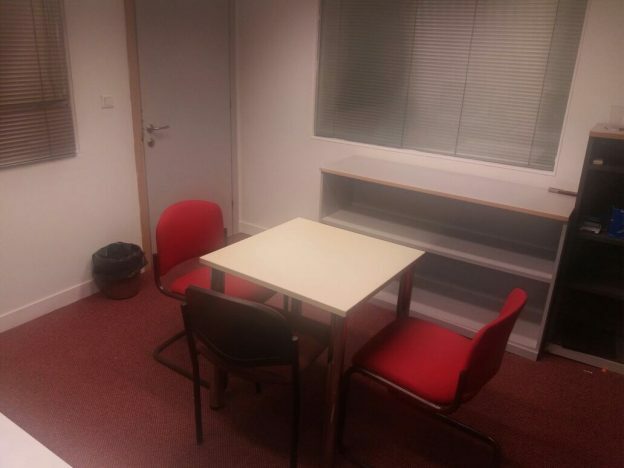 In one study conducted by Psychologist Tijana Jokic, then at the University of Sheffield, International Faculty in Thessaloniki, we had subjects wait for 7.5 minutes in an awfully boring room (see the photo). The results were not unexpected, but they are the first empirical data collected where we analyze states of consciousness during a real waiting situation in relation to the personality of participants. The more impulsive individuals rated themselves on a questionnaire beforehand, the more irritated they were during the waiting situation and the more they overestimated the duration of waiting. We are now conducting follow-up studies with other measures such as those related to boredom and with varying instructions. This is about experimental variations concerning self and time consciousness.